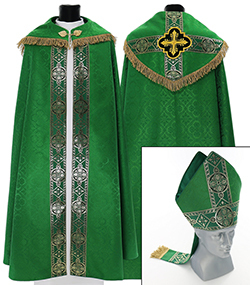 Ackermann Liturgical Vestments presents the category „Mitres”. 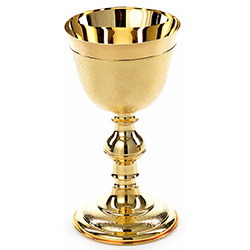 It is the best place you can choose a precisely made mitre. There are 29 models of mitres available at our shop by the time being. 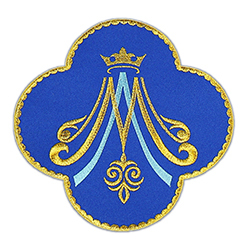 You can choose from various colours and embroideries. For instance, you can check our bestselling products. 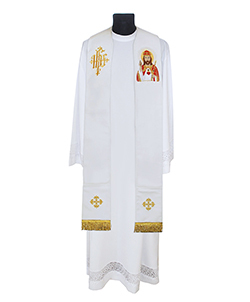 Mitre Model 113 is made of beautiful cream brocade and is decorated with a red embroidery. You can also look through our special models, such as “Holy Spirit”, “Jerusalem Crosses”, “Marian”, “Year of Mercy” and “The Lamb”. 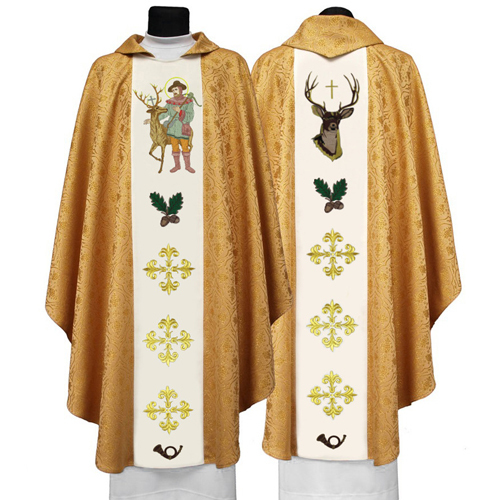 All of these mitres are made of high-quality fabrics and are decorated with a sophisticated embroidery. 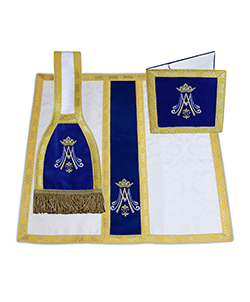 Some of the models of our mitres are available in several colours. You can choose from white, cream, golden, green, red, violet and rose tints. There is a possibility to change the colour of embroideries of particular models. You can choose the most comfortable size of a mitre since we produce each head covering according to the head circumference. Just select the most appropriate size while buying a mitre. 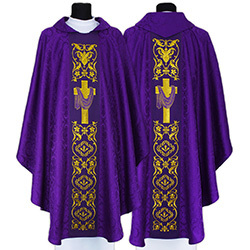 Shop for a mitre at Ackermann Liturgical Vestments and don’t forget to choose the best cope for your mitre. We can give you a special offer if you decide two buy these two articles in a set.